You know, when i'm not cursing to myself for cutting a piece to small, or ripping stitches out because i used the wrong colour, or missed the mark, or stitched two pieces together wrong... ah good times! 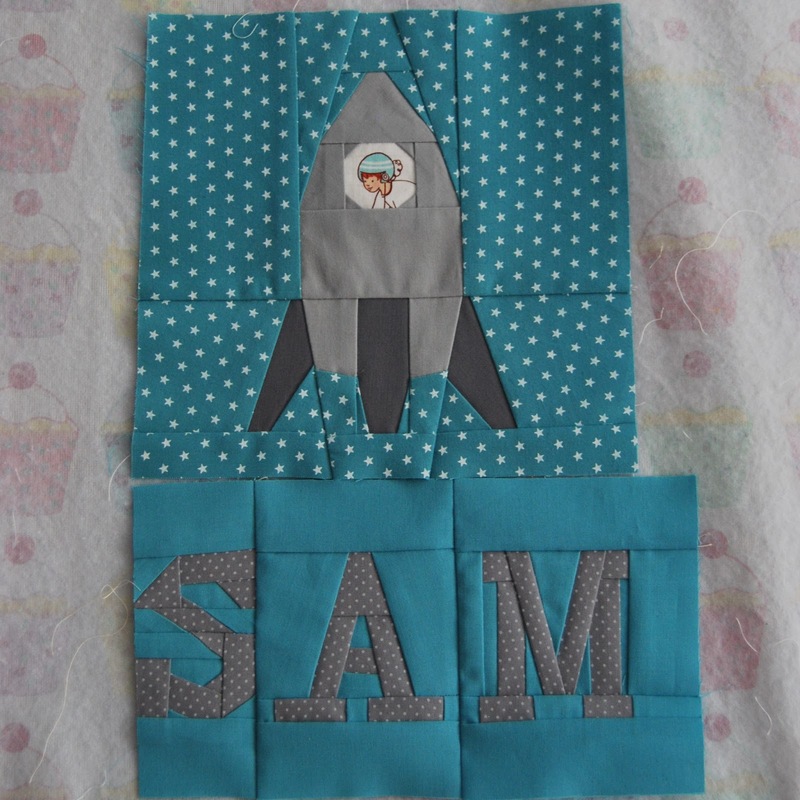 Anyhoo, i've been making a pillow for Sam with no real plans for what it's going to look like in the end. I just wanted a rocket and his name, after that, who knows?! The rocket's been finished for a bit now and i just got around to putting together his name. The letters are from Kristy of Quiet Play, though i did trim down the sides of the patterns, (the pattern will make square blocks when finished) i wanted the letters a bit closer together. I tackled the S first and it came out a little wonky but hey i'm still new to this! I haven't trimed down the side of the M yet, but i think i'll wait until i figure out where his name is going to go. I'm thinking some little paper pieced stars would finish this off nicely... thoughts? In and amongst the paper piecing disaster that was my sewing table today i did finish up the yellow and grey blocks using the Itsy Bitsy Spider print from Heather Ross's Nursery Versery collection. My plan here was to make a mini quilt for the Modern Mini Quilt Challenge over at Ellison Lane. So working with what i think is my favorite block from Tula Pink's City Sampler book, block 80, i came up with this. I think i should of perhaps put some solids into the mix. Which is what i'm thinking i'm going to do. Break out the seam ripper! I really must stop hacking into my fabrics with no plan... from now on Mr. Happy Rotary Cutter is on lock down until i prove i have a well executed plan of attack. Charts and graphs will be needed! (Things look more professional with charts and graphs right?) Or maybe even a quick sketch on one of my thousands of graph pads. Hey maybe it's time i learn how to use that fancy quilt design tool thingy on Threadbias! Are any of you on Threadbias? I'm new and don't know what i'm doing... If anyone wants to find me over there i'm snips! I also just realized that i seem to be rambling on quite a bit here. This would be the pint i had at the pub with my supper. Drat i had a beer!, i should be trying my FMQ! Gotta go! High fives for everyone!! Because you're all Awesome! And with Kelly and her new linky party - Needle and Thread Thursday! 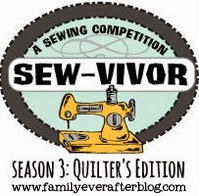 Pop over to both for some awesome sewing action!! ...unless i can finish up Sammy's pillow, hmmm. i find binding very relaxing. it's probably my favorite part. i think the fact that it's at the end helps, too. but i'm always rather sad when it's over. ok, so the blocks are busy but they're also very cute. good luck with that one! I love the name block. Most letters I've seen look very block-ish, but yours have those little details that really make them special! I definitely think some paper pieced stars would finish that out nicely and would make a great entry for the mini quilt challenge! I really like your blocks, even if they are busy. The yellow and gray combo is so hot right now! 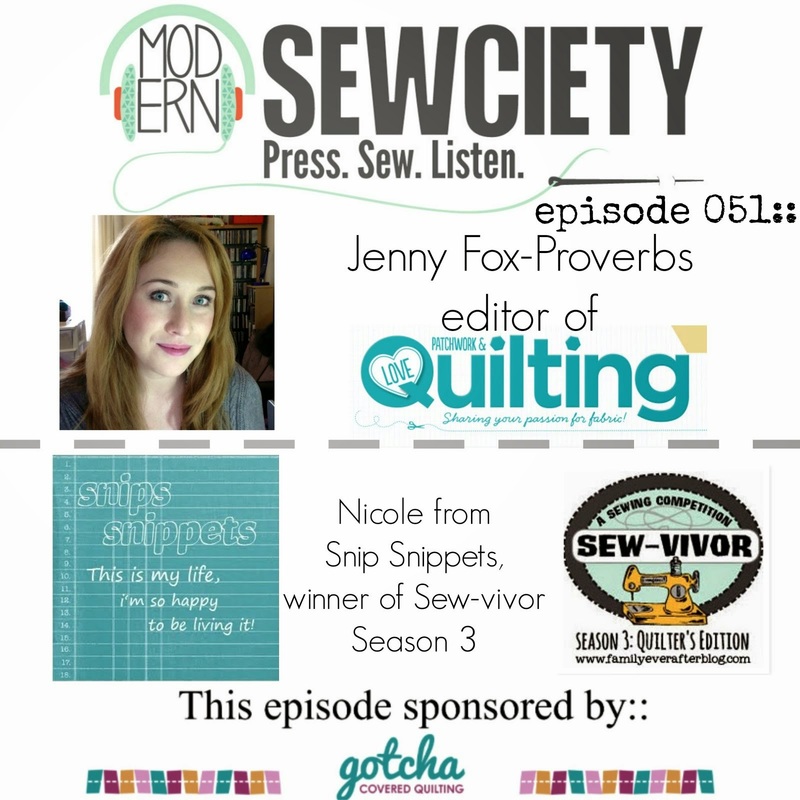 Thanks for linking up to Needle and Thread Thursday!! Hahaha... hope the beer facilitates your FMQ session. :) Love how Sam's pillow is developing. I agree that stars would be perfect. 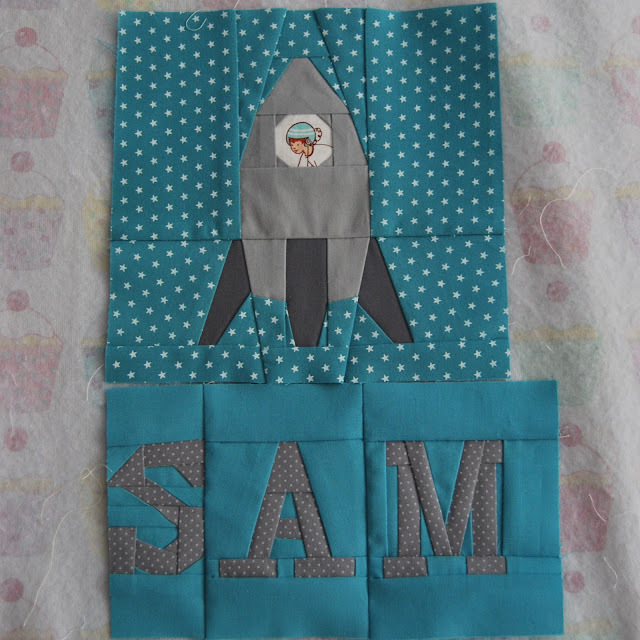 Love the idea of adding some stars to Sam's pillow. That sounds perfect! It's looking great so far! I totally know what you mean about paper piecing! I think I've had that same conversation with my hubby several times. It's so fun but so umm, not at the same time. Love the rocket ship! Definitely think it needs stars! And will usually respond by email, unless you're a no reply blogger. Then pop back here for a response! WIP Wednesday - Finding my inner wonk! Help me Obi-Wan Kenobi, I have no face. Really? I haven't posted in a week?! or posts in their entirety is prohibited without permission.